Many people believe the Government has been whittling away at Liberty and the rights of the people enshrined in the US Constitution for many years, especially since the attacks on our nation on 9-11-2001. 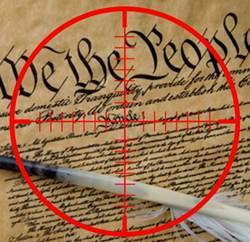 Now the 2nd Amendment is coming directly into the cross-hairs of the Federal Government. Of course, this is a key step in overturning the rights of the people. A disarmed society is much easier to control. 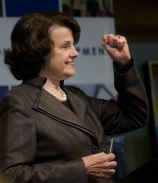 This month Senator Dianne Feinstein has taken the point on this issue by announcing a new gun-control bill to be introduced in the Senate during the 2013 session. This is an outrageous attack by Feinstein on the rights of law abiding citizens of the United States and must be stopped. Laws should be written to affect criminals who abuse their Constitutional rights by breaking existing laws. We do not need new laws that punish law abiding citizens while doing nothing to reduce the crimes being committed by others. Contact your Congressman and Senators. Let them know you strongly back the 2nd Amendment and want no new restrictions on gun ownership. Contact Sen. Feinstein and let her know you do not approve of her proposed legislation that violates the 2nd Amendment. Join organizations that protect these rights like the National Rifle Association the Second Amendment Foundation and Gun Owners of America. 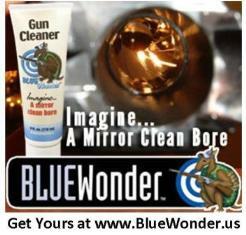 Support the firearms industry by purchasing new weapons (if you can find any), ammunition and accessories. Work with state legislators to strengthen the rights of gun owners within the states. Make certain that you, as a gun owner or supporter of Constitutional rights are registered to vote and then get other gun owners registered as well. The 2nd Amendment is not about hunting and shooting sports. The 2nd Amendment gives you the right to protect yourself and your family when the government cannot. We have had many instances in the recent past where this has been demonstrated. After Hurricane Katrina where guns were confiscated from citizens, the Los Angeles riots and even in many attempted mass shootings where an armed citizen was present and able to stop the attack. It is also in place to protect all of the other rights guaranteed in the Constitution by having an armed citizenry that is able to protect an over-reaching government. Young Lady:	Senator Feinstein’s office. How may I help you? Nelson: Yes ma’am, my name is Nelson Spear and I am calling to expression my opinion to the Senator that I wish she would not introduce any legislation that limits or bans certain weapons. Young Lady: Well, that is not going to happen. Nelson: I wish it would not happen. Young Lady: Might I suggest that you change your request to say that you say you request that she temper her legislation? Nelson: No. I feel very strongly about this. I know at least 100 others who feel the same way. Young Lady:	But you’re not going to be effective. Young Lady: [Interrupting] We really do not care if you have a master’s degree or a law degree. Nelson: I really want to leave my opinion for her. Young Lady:	It won’t make a difference. Nelson: Can I still leave her my opinion. Young Lady: What is your zip code? Nelson: 79702 Young Lady:	What city is that? Be vigilant during 2013. Your rights will be under attack. Feinstein will not be the only Senator trying to steal your rights. Only an informed and ever-watching cadre of citizens can stop this from happening.